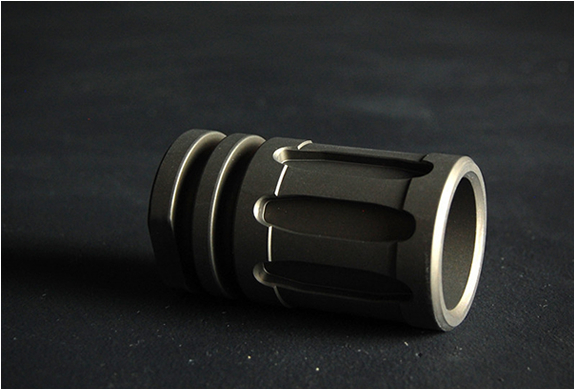 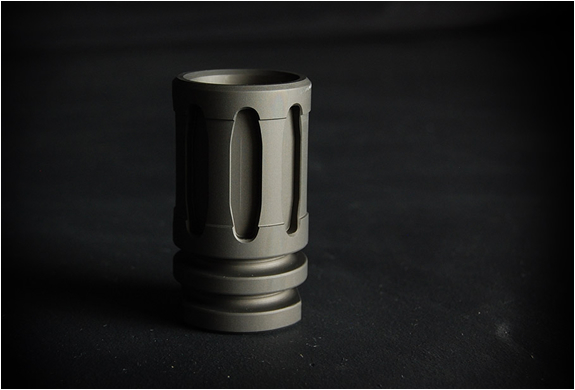 MuzzleShot is an awesome tactical shot glass shaped like the M16A2 Flash Hider (a device attached to the muzzle of a rifle). 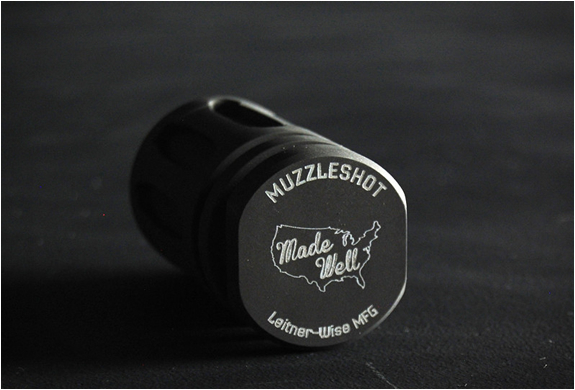 Machined from billet heat treated T6 6061 aluminum and anodized in a dark grey finish, the MuzzleShot glasses hold 1.5 oz of liquor and are virtually indestructible (perfect for slamming down after you´ve downed your shot of tequila). 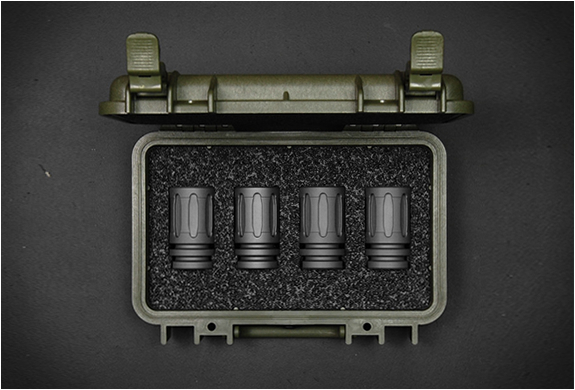 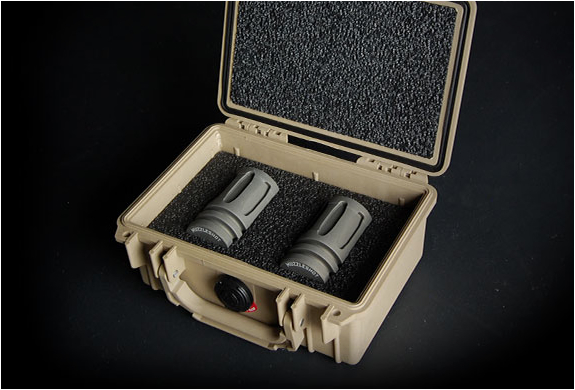 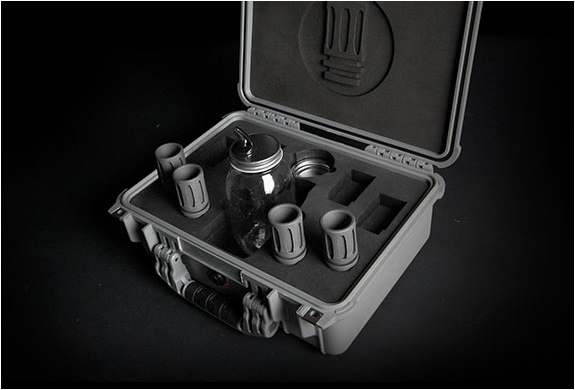 Muzzleshot glasses are available in single unit quantities or as Pelican cased sets of two or four.